↑ Arabs Create Organization For Recovery of Palestine The New York Times; 29 May 1964; "JERUSALEM, (Jordanian Sector) 28 May (Reuters) -The creation of Palestine liberation organization was announced today..."
↑ Madiha Rashid al Madfai, Jordan, the United States and the Middle East Peace Process, 1974–1991, Cambridge Middle East Library, Cambridge University Press (1993). 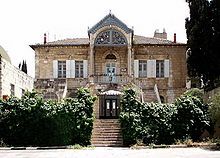 आइएसबिएन ०-५२१-४१५२३-३. p. 21:"On 28 October 1974, the seventh Arab summit conference held in Rabat designated the PLO as the sole legitimate representative of the Palestinian people and reaffirmed their right to establish an independent state of urgency." ↑ Geldenhuys, Deon (1990). Isolated states: a comparative analysis. Cambridge University Press. प॰ 155. . https://books.google.com/books?id=dVmhhVHvTAMC&pg=PA155. 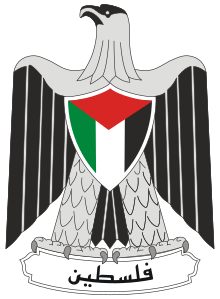 "The organisation has also been recognized as the sole legitimate representative of the Palestinian people by well over 100 states…"